When it comes to gate automation systems there’s no one better than the geniuses at Everlast Services. Our automated gates are all made in our Hoppers Crossing fabrication plant in Melbourne – meaning they are all of the highest standard and only installed after they have passed our strict quality control standards. The best part is they serve as an impressive entry point to your home by combining style with the unbeatable ease of automation. 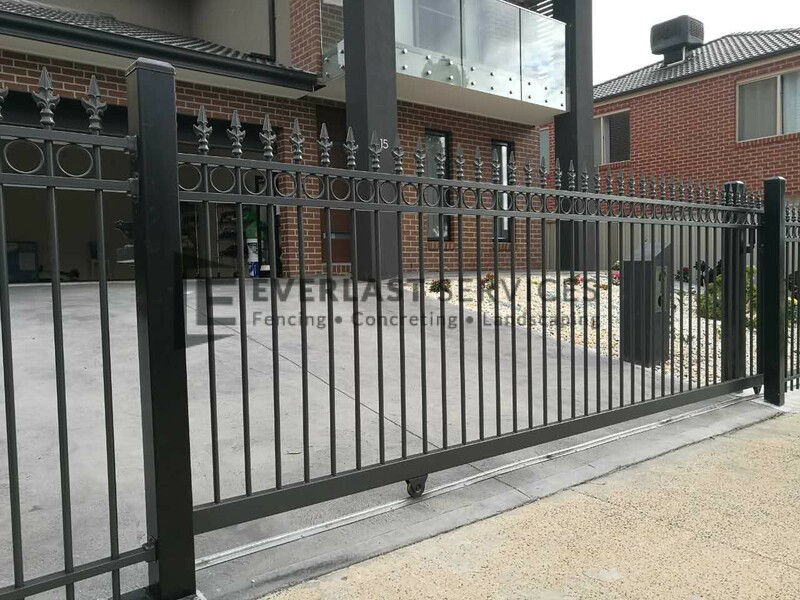 We can customise the electric gates as much as you like, so whether you’re looking for a sliding, swinging, single, double or cantilever gate we can design, fabricate and install your perfect automatic gate that will add value to your home and greatly increase its curb side appeal. Why Choose Everlast Services For Your Gate Automation Needs? A key advantage of our service is the fact that we fabricate our own gates. This gives us complete ownership over the entire project and allows us to maintain strict quality standards at each stage. It also allows us to live up to our promised of giving back to the local economy by creating as many jobs as we can. We love providing quality products and services at affordable prices. We’re able to do this because we have worked hard to develop relationships with local suppliers that allow us to pass on quality products at reduced prices and include these savings in your quote. 20 years of experience in industry has given us the ability to look at your space and design and create a perfectly designed automatic gate to suit the specific needs of your space and your property. We provide the full suite of home beautification services. That means you can come to us for much more than a gate automation service. We also provide concreting, decking, fencing landscaping services and you can expect the same commitment to quality on all of our service lines.